The Friends of the Tasmanian Museum and Art Gallery Incorporated (the Friends) was established in 1982 to assist the Tasmanian Museum and Art Gallery (TMAG) by encouraging Tasmanians to enjoy and support the museum. 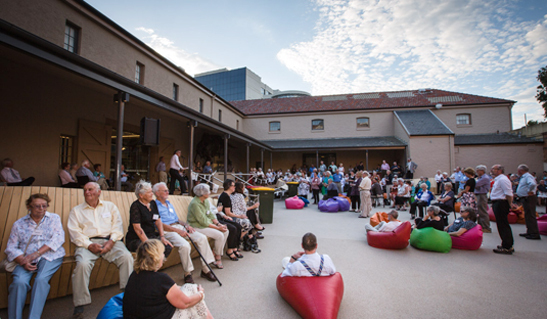 TMAG plays a vital role in the cultural and social life of Hobart and Tasmania, and one of the functions of the Friends is to support that role with direct financial aid. Accordingly, the Friends contribute towards TMAG's acquisitions and programs. Through targeted social and promotional activities, the Friends encourage the Tasmanian community to visit and enjoy the TMAG's exhibitions and collections. Friends of TMAG enjoy access to a range of special events including Curator presentations, excursions to other cultural institutions and events, behind the scenes explorations of TMAG and concessions to major interstate exhibitions. The Friends of the Tasmanian Museum and Art Gallery Incorporated is part of a wider Australian group with similar aims, the Australian Federation of Friends of Museums, which is in turn a member of the World Federation of Friends of Museums. In 2005, the Friends helped to form a 'young' Friends group, the TMAGgots, to encourage younger people to become involved with TMAG. Visit the Friends website here. This page was last modified on 11th July 2018.